Home SUCCESS ‘THIS’ will be the death of your goals, unless you…. I don’t know about you, but I’m VERY AWARE when I make excuses. My husband Janak and I are quite blunt at pointing it out to each other when we hear excuses being made! ….. you aren’t already wealthy? …..you aren’t already free from working so hard? …..you aren’t already at your desired business goal? …..you aren’t already traveling more, spending more time with your family, OR ___________? Do you have an internal or external Locus of Control (LOC)? governed by their own actions. They praise or blame themselves accordingly. learnt the right skills to increase your income. People with a more dominant EXTERNAL Locus of Control tend to praise or blame external factors in their life. doesn’t work as hard as you etc etc…. Examine which one (Internal or External LOC) is more dominant for you over the coming week. Catch how you frame your excuses – Internal or External LOC? Decide on 2 ways you can re-frame your excuses to take more responsibility…giving you control to actually change things. Enjoy this process and watch how your results will SKYROCKET by becoming a more Internal LOC type of person and tackling your excuses! 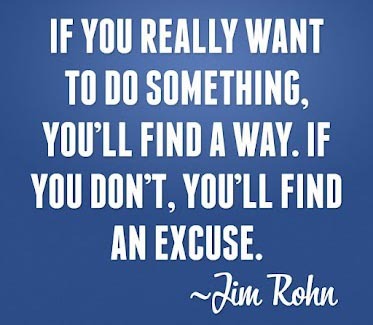 Share with us below which one is more dominant for you and 2 Ways you plan to re-frame your excuses. Look forward to reading your comments!